Our research reveals that Panasonic cordless phones perform great and are feature packed, but if it's simplicity and value you crave, look to models carrying the Vtech and AT&T brands. For those that need an amplified model, the clear choice is Clarity. 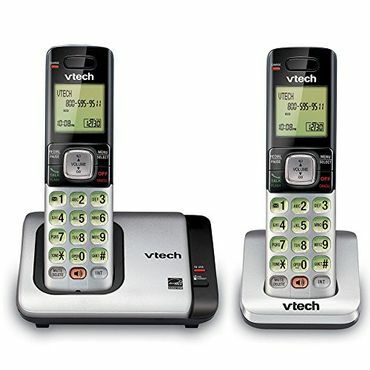 Among basic cordless phones without an answering machine, the VTech CS6719-2 shakes out as the best overall value. Features are limited, but you will find will find a 50-number phone book, a full-duplex speakerphone, intercom mode, a lighted keypad, and a voice mail waiting indicator (for those who have voice mail service via their telephone provider). Experts and owners say its voice quality is good, its range is at least decent, and that it's very easy to use. Experts and users praise the Panasonic KX-TGE274S as a great all-around cordless phone system. This Bluetooth-enabled phone can pair with up to two smartphones to make and receive calls over wireless. The system is feature packed, including a solid answering system, call blocking, and a battery backup for power outages. Sound quality is very good, and the connection stays strong up to 250 feet away. Owners find it easy to set up and use, as well. 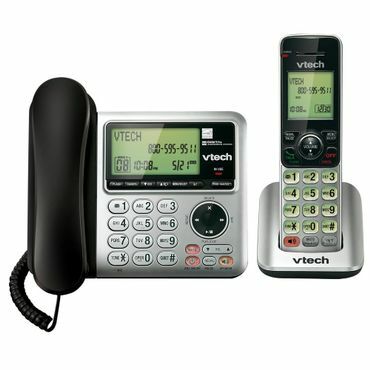 Though it lacks high-end features, the VTech CS6649 delivers what many users want most: good performance and great value. This is a hybrid corded/cordless system with a base unit and one cordless handset, which can expand up five handsets altogether. It's competitive with more expensive options in terms of sound quality and ease of use, though testing indicates that its cordless range is a tad shorter than some pricier systems have. 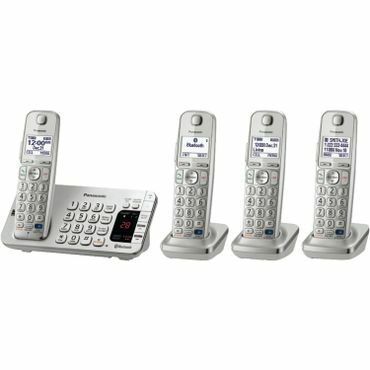 The Clarity XLC3.4+ cordless phone offers features specifically geared toward those with hearing loss. In addition to being hearing-aid compatible, it can amplify both incoming and outgoing speech, and it has an extra-loud ringer. Other senior-friendly features include talking caller ID, large buttons, and one-button connection to the maker's customer service department. It also speaks the numbers as you dial. However, there's no answering machine, and the phone comes with only one handset. A cordless phone might seem like a simple purchase compared to a cell phone, but this choice is more complicated than it looks. Options range from simple, low-cost devices to sophisticated systems that can integrate fully with your cell phone. But all cordless phones, regardless of their cost or complexity, now have technology that lets them perform more reliably than ever before. The simplest, and least expensive, cordless phones don't have built-in answering machines or other advanced features. However, they do offer DECT 6.0 compliance, which means they can typically provide good call quality and range. You'll also find basic features like programmable phone books and speakerphone and intercom functions – all for $50 or less. These models, which cost between $50 and $150, take the basic cordless phone and add on a full-featured answering machine – and sometimes a whole lot more. Though the cheapest models are less well-equipped, many of the best regarded options have features like talking caller ID, call blocking, Bluetooth connectivity and a battery backup to keep the base unit up and running during a power outage. Many cordless phones have adjustable volume, but these models go a step – or many steps – beyond. Ideal for seniors and others with hearing and vision limitations, these phones enhance usability with features like amplified sound, large buttons, and spoken feedback. However, they tend to be lighter on the type of advanced tech found on high-end cordless phones with answering machines. Amplified cordless phones range from $60 to $250 in price, with most models costing around $100. A cordless phone uses radio frequencies (RF) to communicate between the portable handsets and a base that connects to a standard landline. In the past, cordless phones were often plagued by interference from other devices using the same frequencies, such as microwave ovens, Wi-Fi networks, and game controllers. Today, however, cordless phones in the U.S. comply with the DECT 6.0 standard. (DECT stands for Digital Enhanced Cordless Telecommunications.) DECT 6.0 uses the 1.9 GHz radio frequency band, which is reserved for voice communications only. This eliminates most interference problems and also stops the neighbors from overhearing your conversation on their baby monitor. Once a special feature that commanded higher prices, DECT is now standard on cordless phones, including cheap cordless phones. All of the cordless phones recommended in this report are DECT 6.0 compliant. Cordless phone technology has advanced in other ways, as well. For instance, caller ID is now standard – and some models will even spare you the effort of getting up to look at a display by announcing the caller with talking caller ID. Also, some cordless phones have the ability to link to your cellular phone via Bluetooth. That lets you leave your cell phone in a convenient spot in your home (presumably wherever cell reception is best) and place and answer cellular calls, along with landline calls, through any of your cordless phone's handsets. Many cordless phones now include built-in telephone answering devices (TADs). You can save a few bucks by opting for a basic cordless phone without a TAD, but you'll also be giving up sophisticated features such as talking caller ID and Bluetooth connectivity, which are typically available only on higher-end phones. Some cordless phones/answerers include a corded phone on the base unit. This comes in handy during prolonged power outages, since corded phones don't need a power source other than the phone line. Phones that lack this feature often have a backup battery instead, which can keep you connected for at least a little while when the lights go out. Even as the technology for cordless phones has improved, the price has dropped. Single-handset models now run from as low as $15 to about $100. You can also choose cordless phones with multiple handsets. These sets typically come bundled with two to five handsets, and you have the option to add on extra handsets for $15 to $40 each - though it's generally cheaper to purchase them as a package when you buy the original phone. Some multiple-handset phones let you hold conversations between one handset and another, like a walkie-talkie. Others let you transfer calls from one handset to another or hold conference calls with two or more handsets plus a third party. Only a few companies are currently making cordless phones for sale in the U.S. Panasonic and VTech (which also makes AT&T models) offer the most models. Telefield, which primarily makes phones for the business market, also offers phones under the RCA brand. 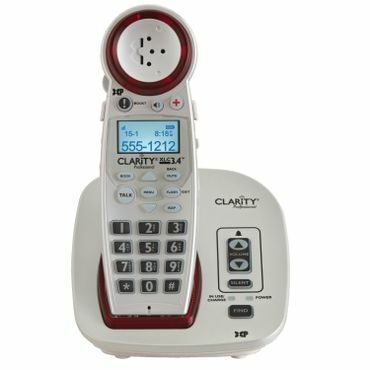 Clarity is a specialized brand, offering amplified cordless phones for folks with some level of hearing loss. Some well-known cordless-phone makers have left the U.S. market in recent years, including Uniden and Motorola, though you can still find some of those brands' models at retail. For this report, we found a few good, current expert reviews. ConsumerReports.org has the most comprehensive coverage, but there's also a good hands-on test at Wirecutter.com. TopTenReviews.com, a resource of sometimes variable quality, also weighs in with an excellent, testing-based review. These sources provide the most reliable expert information about call clarity and range. We then turned to user reviews, which are plentiful on sites like Amazon.com and BestBuy.com, for information on long-term reliability and which features are most useful to real owners. We put all this together to select our Best Reviewed choices – as well as a few backup picks – for basic cordless phones, phones with answering machines, and amplified phones.